Worried about hackers, fraudsters, and thieves? 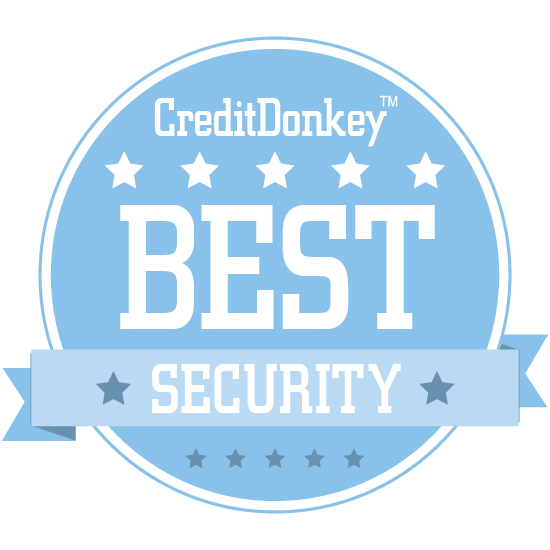 Protect yourself with the winners of the CreditDonkey Best in Security award. Whether you’re wandering around online, storing your small business files in the cloud, or allowing your employees to safely work remotely, security is a top, daily issue. Everywhere we go there seems to be stories of hacking, data breaches, and catfishing partnerships that threaten our identities or digital assets and sense of confidence. Who has time to figure out how to protect themselves when we’re all trying to get work—and life—done? Fortunately, savvy security companies do have the time—and the expertise—to help you keep safe wherever you, or your employees, roam in the digital world. On CreditDonkey’s list of the Best in Security, you can find companies that offer innovative solutions to your security fears and ways to minimize infiltration into your digital possessions. At CreditDonkey, we help consumers and small businesses spend their money wisely, and we know it’s an ongoing effort. Once you’ve invested in something, you need to protect it as well. We’ve narrowed the list of the many, many security options out there to present the very best in security. These solutions and services will help you be safe. Allied Universal offers security services, systems, and solutions for both people and businesses. CEO Steve Jones has held executive and management positions at 2 Fortune 500 companies, and under his leadership, Allied Universal has grown from a $12 million to a $5 billion company in just 5 years. Why Allied Universal is Best in Security: If you need to hire security officers for an event or a building, Allied Universal's professionals are among the best in the business. They also provide a range of security solutions for every aspect of your business, from full security systems to security design and installation. Smarter Security offers security solutions for businesses that include entry security systems and outdoor security surveillance. CEO Jeff Brown acquired Smarter Security in 2002 and has led it to rapid growth over the years; prior to that he was known as a marketing leader, and has worked with brands like American Airlines, Pillsbury, and more. Why Smarter Security is Best in Security: With premium solutions for lobby security and entry control, you can protect your business from intruders, including tailgaters, while still making it easy for everyone to get in and out. Their outdoor security solutions, like SmarterBeam, can detect intrusions even if they're not in a fenced area. Zscaler offers cloud security as a service, providing secure internet access to the web and private apps for anyone, on any device. Founder and CEO Jay Chaudhry is an experienced entrepreneur who has founded and sold several companies over the course of his career, including AirDefense, Air2Web, and SecureIT. Why Zscaler is Best in Security:Their corporate solution enables secure access to the Internet as well as cloud as apps like Salesforce and Office 365. Their two essential services are ZScaler Internet Access, which ensures nothing nefarious comes into your network and nothing good leaks out, and ZScaler Private Access, which lets your team establish secure access to private, apps making application migration far easier and more secure. BeyondTrust provides privileged account and vulnerability management solutions that stop privilege abuse and prevent data breaches. Why BeyondTrust is Best in Security: Their privileged access management platform gives users visibility and control over passwords, endpoints, and servers so you can keep attackers far away from your critical data. Retina, their vulnerability management platform, aims to reveal risks and enable smarter security decision-making thanks to high-quality reporting, scalability, and coverage. BitGo is making it easier for businesses to securely integrate digital currencies into their financial systems at scale. CEO and co-founder Mike Belshe, the creator of the multi-signature protocols used at BitGo, worked on the founding team of Google Chrome, while CTO and co-founder Ben Davenport is an experienced tech entrepreneur and investor who co-founded Beluga, which eventually became the basis for Facebook Messenger. Why BitGo is Best in Security: Along with cutting-edge security, they offer unparalleled functionality, providing the necessary platform and services for payments, processing, risk, logistics, and more. Processing over $1 billion in transactions every month, BitGo is trusted by some of the largest cryptocurrency exchanges on the planet. Vectra Networks offers an AI threat detection and response platform that constantly hunts down threats from users, IoT devices, the cloud, and more. President and CEO Hitesh Sheth was previously the CEO at Aruba Networks, and has held a number of senior management positions at Cisco Systems. Why Vectra Networks is Best in Security: Vectra learns as it goes, providing real-time cyber attack visibility with zero blind spots. By automating the hunt for cyber attackers, your security analysts can put their focus on stopping the major threats while Vectra does the busywork. AnchorFree is a VPN that provides secure, private, and unrestricted access to the internet. CEO and co-founder David Gorodyansky helped create AnchorFree when he was just 23 years old and has grown it into a major force in internet privacy, while co-founder and CTO Eugene Malobrodsky has been an engineer since age 15 and currently works on new product innovations for AnchorFree. Why AnchorFree is Best in Security: Their service enables users to get online securely on public Wi-Fi networks, browse anonymously, and use proxy servers to access blocked and censored websites. You can even access content from anywhere in the world by selecting the country you want to browse "in," opening up whole new avenues of content. Bugcrowd offers crowdsourced risk management, connecting organizations to a global network of bug hunters who identify vulnerabilities before cyber attackers do. Founder, CTO and chairman of Bugcrowd Casey Ellis has 15+ years of experience in IT security, and pioneered the bug bounty as a service business model. Why Bugcrowd is Best in Security: Along with their diverse crowd of researchers, their experienced team of security professionals are on hand to help design, support and manage your security programs. By paying for results rather than time, Bugcrowd can also dramatically improve ROI of security assessment and uncover up to eight times more vulnerabilities than through traditional methods. White Ops offers fraud protection for media buyers and sellers with two solutions: FraudSensor and MediaGuard. Co-founder and CEO Michael Tiffany is a Technical Fellow of the DARPA-funded cyber-security research lab Critical Assets Labs, while co-founder and Chief Scientist Dan Kaminsky has 15 years of experience in computer security, having worked closely with Microsoft, and co-founder and CTO Tamer Hassan is also the founder and CEO of the software development and consulting company Compel Data Technologies Inc.
Why White Ops is Best in Security: They aim to make the most of your viewable ads, so Fraudsensor is designed to ensure that each impression is seen by a living, breathing person. 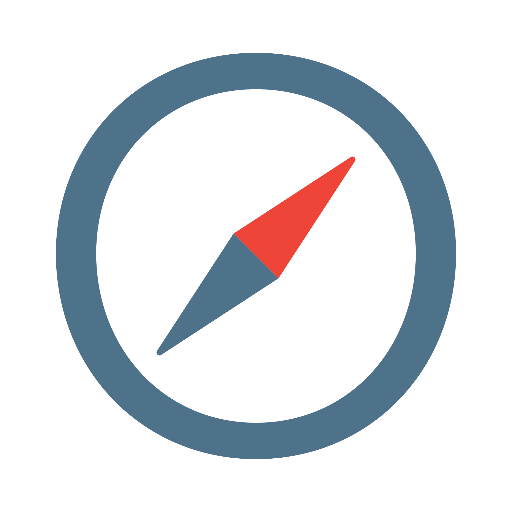 MediaGuard, meanwhile, is a fast, accurate pre-bid API solution that provides a programmatic pre-bid blocking solution. Sqreen protects your apps and users from attacks with unique in-app technology that's always one step ahead of the bad guys. Co-founder and CEO Pierre Betouin led a security assessments team for the Internet Services department at Apple for 9 years, while co-founder and CTO Jean-Baptiste Aviat spent 5 years in security at Apple and holds 2 U.S. patents. Why Sqreen is Best in Security: Their software sends immediate notifications to let you know when a user is at risk and shuts down attacks immediately, protecting your data. Once an attack is shut down, your security team can immediately see what went wrong and prioritize a solution to the problem. Knightscope is building security robots for the real world that are fully autonomous and offer 360-degree video, so security teams can keep an eye on everything that happens. Chairman and CEO William Santana Li is an entrepreneur with over two and a half decades of experience, including founding Greenleaf LLC, a subsidiary of the Ford Motor Company that became the second largest automotive recycler in the world. Why Knightscope is Best in Security: Their K5 robot uses advanced anomaly detection to pick out security threats, and future features even include gun detection. Knightscope's creations can be deployed in malls, arenas, office buildings; anywhere security is needed, they'll help find threats before they become incidents. HackerOne is a bug bounty and vulnerability coordination platform that helps your enterprise gain a more comprehensive view of its attack surface through bug discovery and a vulnerability disclosure policy. Why HackerOne is Best in Security: Their platform serves as a security email inbox, enabling your security team to manage its bug bounty (offering monetary rewards for bugs) or vulnerability disclosure program (no monetary rewards), including bug discovery, reporting and payments to ethical hackers, in a single dashboard. HackerOne's community of over 140,000 ethical hackers offer security assessments that run around the clock, offering unparalleled insights into your organization's security in real-time. 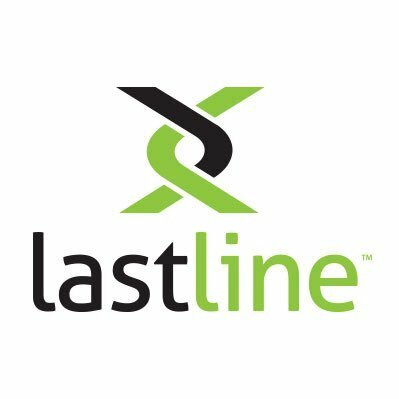 Lastline offers an advanced malware detection solution that finds malware and browser-based attacks before a damaging data breach. Co-founder and CEO Christopher Kruegel, PhD, a Professor of Computer Science at UC Santa Barbara, has published over 100 peer-reviewed papers in top computer security conferences, while co-founder and CTO Giovanni Vigna, PhD, has more than 20 years of research and development of security technology under his belt. Co-founder and Chief Architect Engin Kirda, PhD, is a Professor at the Northeastern University in Boston and the director of the Northeastern Information Assurance Institute. Why Lastline is Best in Security: The company’s advanced malware detection uses Deep Content Inspection to analyze all behaviors engineered into malware, resulting in fewer false positives so your team can focus their efforts on eliminating the highest priority threats. Added context is provided by correlating network activity with threat intelligence to map the full extent of a breach as it unfolds on your network. Securly offers cloud-based web filtering and content controls for schools that even works at home with take-home Chromebooks. Co-founder and CEO Vihay Mahadik has over 12 years of experience in network security, having previously worked at Qualys and McAfee, while co-founder and CTO Bharath Madhusudan has worked in network security for a decade, including as an architect at Huawei-Symantec. Why Securly is Best in Security: Not only can it limit what content students access online, but it also audits Facebook, Twitter, and Google+ posts and flags content indicative of bullying and self-harm. Their free parental integration feature sends weekly email reports of their student's online activity on any school-owned devices, so parents can keep tabs on what their kids are doing online. Compaas offers cloud compliance as a service, protecting your cloud data against employee negligence. Why Compaas is Best in Security: Built for small and medium-sized businesses, Compaas is a web platform that sets up in mere seconds to identify sensitive and exposed data. Once it's found the issues, you can secure your exposed data with a single click. 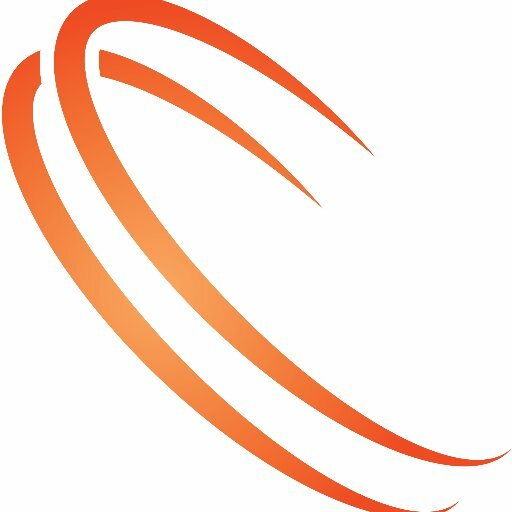 Cyphort is the Anti-SIEM software platform, offering advanced threat detection, analytics, and easy threat mitigation without the added cost and complexity of SIEMs. President and CEO Manoj Leelanivas spent 14 years at Juniper Networks, including as the Executive Vice President of Worldwide Sales for Advanced Technologies, and prior to that worked for Cisco Systems for seven years. Why Cyphort is Best in Security: Their open, scalable platform deploys quickly and tracks down advanced threats, using analytics to pinpoint potential sources of malicious activity. Once a threat is found, you can update firewall policies, IPS, and secure web gateways to automatically block threats, all with one click. NuData Security's NuData cloud holds billions of known user behaviors, device, location, and biometric data points giving their user authentication software the smarts to verify good users quickly and reduce false positives. CEO Michel Giasson has worked in a number of roles in technology and entertainment for the past 15 years, including as an Advisory Board member, Director, and, of course, CEO. Why NuData Security, a Mastercard Company is Best in Security: Their solution not only verifies your users, but does so with easy, invisible implementation that results in a seamless, smooth user experience. In addition to detecting good users, it also weeds out new account fraud and stamps out the growing threat of account takeover. Cobalt offers crowdsourced penetration testing for SaaS companies that results in an actionable report for your team and customers. Why Cobalt is Best in Security: Once you launch your testing, you'll receive vulnerability reports in your own application security inbox; assign those reports to your team and start improving your security. Once findings are fixed, your report is automatically updated so you always have the best information and most pressing threats available. 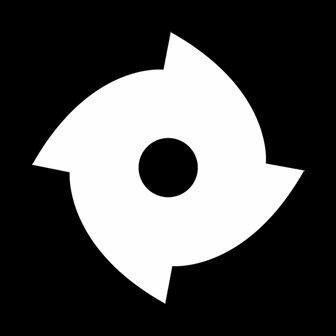 Dedrone is an anti-drone solution that aims to mitigate all drone threats for businesses, events, and more. CEO and co-founder Jörg Lamprecht and co-founder and CTO Rene Seeber have had successful exits with start-ups, like internet software company ONLY Solutions and security software company Cobion, while COO and co-founder Ingo Seebach previously founded industrial product supplier SEETECH GmbH. Why Dedrone is Best in Airspace Security: Its modular system can be configured to address site-specific threats and can be easily integrated into existing security systems. It can handle unique architectural and landscape features with ease. With passive and active countermeasures, Dedrone can send you a notification when a drone has entered your airspace, or deploy a jamming signal or fog bomb to stop a drone's activity. Preempt Security provides real-time response to threats like malicious attacks, employee errors, and more, heading off problems before they start and providing insights into how to prevent future attacks and breaches. CEO and co-founder Ajit Sancheti has over 20 years of experience in executive leadership and IT security, while CTO and co-founder Roman Blachman was previously a leading security strategist for Apple iOS. Why Preempt Security is Best in Security: Their Preempt Behavioral Firewall senses suspicious behavior, forces suspicious users to verify their identity or change weak passwords; they can even be blocked if the risk is deemed too great. All of this provides an extra layer of automation to ease the workload of overworked security teams. ValiMail offers email authentication as a service, protecting brands as well as their employees and customers from email phishing attacks. CEO and co-founder Alexander García-Tobar, a serial entrepreneur who was previously CEO at two other firms, has held positions with companies like Sygate and ValiCert, while CTO and co-founder Peter Goldstein has helped build products with companies such as RSA Security and Perot Systems. Why ValiMail is Best in Security: With many phishing attacks now favoring impersonation, email authentication is an extremely effective way to stop malicious messages and protect your brand. The problem with email authentication is that it can be difficult to implement; that's why Valimail automatically configures and updates to keep your outgoing and incoming email safe and secure. 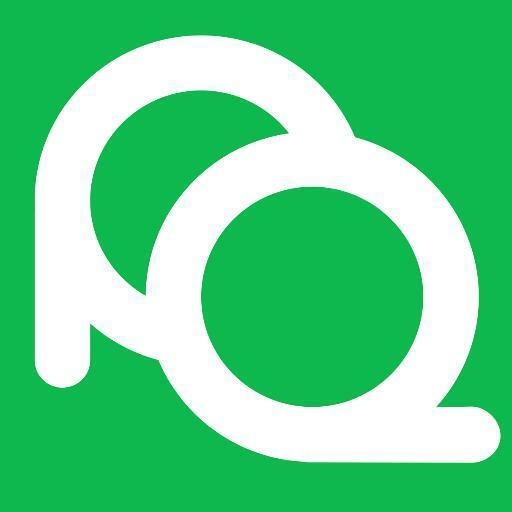 Onfido is a global identity verification and background check solution that can help businesses across the planet verify anyone, no matter where they are. 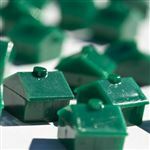 Why Onfido is Best in Security: They offer a number of different checks, Including identity record, document and facial liveness checks. Their API enables companies to run a large number of checks at scale easily, allowing you to add more users with less risk and build more trusting relationships. Senrio offers enterprise security for Internet of Things devices, industrial control systems, and other embedded systems. Founder and CTO Stephen A. Ridley has over a decade of experience in software development, software security, and reverse engineering, and was previously a Principal Researcher at Xipiter and served as the Chief Information Security Officer of a financial services firm. Why Senrio is Best in Security: It covers both device makers and device users with two distinct services: Senrio Insight and Senrio Trace. Insight brings users lightweight, embeddable passive monitoring to tell them what's on their networks, while Trace is built to tell makers what their firmware is doing. Synack is a digital security company that uses hacker-powered intelligence to find vulnerabilities that often go undetected by more traditional security methods. Prior to co-founding Synack with CTO Mark Kuhr, CEO Jay Kaplan served in several security-related roles at the Department of Defense, and as served as a Senior Cyber Analyst at the National Security Agency. Why Synack is Best in Security: Dubbed "Crowd Security Intelligence," it enables some of the largest enterprises in the world to close security loopholes before the bad guys find them. Combining their human intelligence with an advanced vulnerability intelligence platform, Synack is able to continuously uncover vulnerabilities in mobile and web apps as well as host-based infrastructure. Cloudastructure is a connected building security company offering products including video cloud surveillance, cloud access control, smartkeys, and more. Founder and CEO Rick Bentley has over 20 years of experience in the technology industry, having been a full-time advisor to Google X and founder and CEO of Televoke Inc.
Why Cloudastructure is Best in Security: The cloud-based infrastructure of their services, which also include video monitoring and IoT support, provides intelligent solutions on-site while keeping all data safe off-site. Because everything is based in the cloud, there's no dedicated infrastructure necessary, which means it's easy to scale across multiple buildings. Kisi access control systems are a physical solution for businesses that can open doors remotely, share keys using an app, and more. 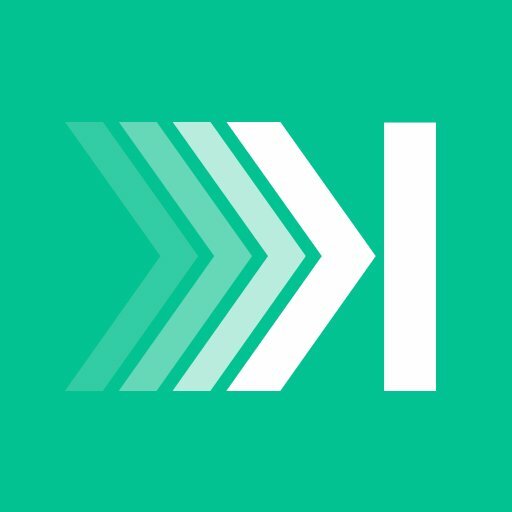 Why Kisi is Best in Security: Their software dashboard enables you to keep track of who's coming in and out of your office, and the ability to manage all of your locations through it is a great solution for high-turnover and high-traffic companies. You can even choose to restrict keys to certain times of the day, or restrict them to mobile devices so they can only be accessed by the phone's owner. Ionic is a data security platform that trusts no one, ensuring that no one and nothing can get between you and your business. Founder and CEO Adam Ghetti is a technologist and entrepreneur with over 15 years of experience building large-scale systems. Why Ionic Security is Best in Security: Their platform enables a centralized data and application policy across everything your business relies on, allowing you to control and protect all of your data the way you want to. Ionic will never hold or control the keys to your data; instead, they're always with you or on IaaS infrastructure that's under your control, eliminating the middleman and letting you keep your most sensitive data under lock and key. ActivTrak is a free employee monitoring tool that helps you understand how work is completed within your team by measuring time spent online and on applications. President and co-founder Herb Axilrod was previously a lead engineer at Saber Software Corporation, while co-founder Anton Seidler was the CEO of online Russian task manager Motiw. 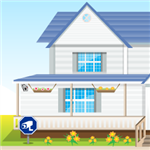 Why ActivTrak is Best in Security: It’s easy to set up and get started. View both on-site and remote employees’ browsers, applications, and local machine activities in real-time and through usage history. You can even block specific websites with a single click to keep your employees focused, and set alarms to track access to sensitive files, applications and websites. They also have a Data Leak Prevention (DLP) feature that redacts sensitive information (SSNs, Bank Account #s, CC #s, email addresses, phone number and more. It's customizable as well, so the client can ask for any unique piece of data as well.) from any screenshot collected before it even hits the account. Source3 works to identify IP, trademarked and copyrighted material online so companies and brands can protect what's theirs. Why Source3 is Best in Security: Their IP Recognition software can track down unauthorized use of logos to more granular elements of IP, like Star Wars' blasters. They can even help you establish licensing relationship with brands, managing the licensing process from end-to-end. Immuta’s hyperscale data management platform provides data scientists, data owners, and data governance professionals with rapid, personalized data access to dramatically improve the creation, deployment, and auditability of machine learning and AI. Their platform delivers fine-grained control and full visibility into data usage, while dynamically enforcing policies to comply with internal rules and external regulations. Why Immuta is Best in Security: The Immuta platform connects and catalogs data from any enterprise source and applies dynamic policies – including masking, anonymization, generalization, and purpose-based restrictions – without requiring any code to be written. 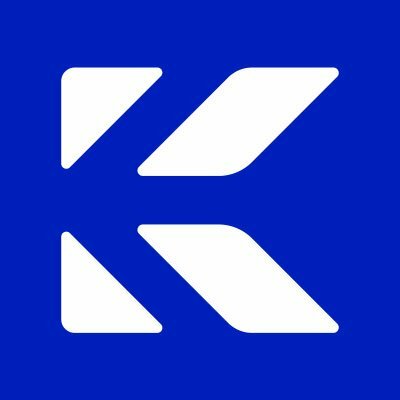 Komand enables organizations to automate incident response and security operations, connecting their security playbook to their tools to speed up incident detection and response. 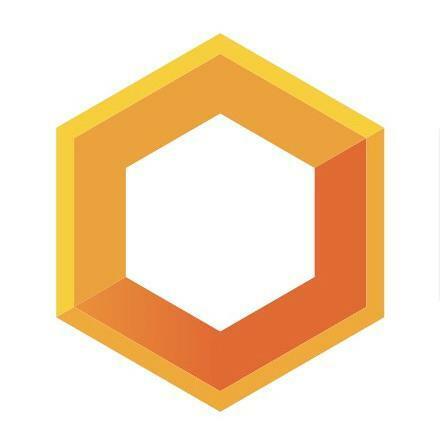 Why Komand is Best in Security: Their library of plug-ins makes it easy to seamlessly connect all of your security tools and build dynamic automated workflows, no coding experience needed. Once automation is up and running, your team can use their expertise to analyze and act rather than track down threats, greatly streamlining security operations. Praetorian acts as an extension of your enterprise's security team, offering security expertise in IoT, mobile apps, corporate infrastructure, and more. Founder and CEO Nathan Sportsman previously worked in a number of technical roles with companies including Sun Microsystems, Symantec, and McAfee. Why Praetorian is Best in Security: Diana, their security testing service, tops competitors by providing a continuous security analysis rather than just a single security evaluation. This allows your team to find and fix any security problems as they occur, maximizing reaction time and protecting your data. Breezy offers secure cloud and mobile printing at the enterprise level, securing and encrypting all data on-device before it's transferred safely to the printer of your choice. 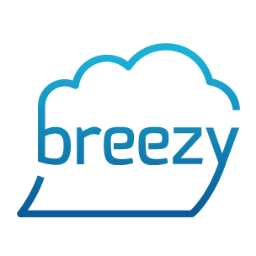 Why Breezy is Best in Security: It also integrates easily with leading mobile security platforms, adding an additional layer of security and control. It's flexible and easy to set up, supporting just about every printer out there and eliminating the need for printer drivers. Unlimited Technologies offers cutting-edge security solutions for global enterprises, including network integration, physical hardware, and more. CEO John Hopkins has years of executive experience, including with NASDAQ and NYSE companies, and served as CFO of Henry Brothers Electronics, Inc. and Chief Financial Officer of Measurement Specialties, Inc., prior to joining Unlimited Technologies. Why Unlimited Technology is Best in Security: Utilizing the latest state-of-the-art hardware, they provide the necessary security solutions to each individual client, with an emphasis on excellent customer support. Whether you need custom application engineering or full turnkey project management, Unlimited Technologies is here to provide. Designed for the enterprise, HYPR decentralized authentication ensures that personal credentials such as biometrics, PINs and passwords always remain safe on users’ devices. By eliminating the need for a centralized credential store, the risk of an enterprise breach is greatly reduced. With millions of consumers and employees secured across the Fortune 500, HYPR is the first authentication solution to unite frictionless user experiences with decentralized security. Why HYPR is Best in Security: Their technology enables both employee- and customer-facing apps to deliver password-free authentication that's more secure than others and functions across all mobile, desktop, and IoT systems. Their biometric security solutions work right out of the box, saving enterprises millions in development costs while enhancing users' digital experience. Tuebora takes the pain out of identity and access management, continuously tracking unused and excess access and allowing you to manage it anywhere, whether through the cloud or on-site. Founder, President, and CEO Sanjay Nadimpalli is an innovator who was previously a founding member of the engineering team at Aveska and has held senior technical roles with a number of other companies. Why Tuebora is Best in Security: Their platform helps organizations overcome fragmented IAM deployment by putting it all on one holistic platform: access certification, user provisioning, access controls and requests, and more. It also implements and integrates quickly and painlessly, then uses machine learning to streamline your IAM processes. 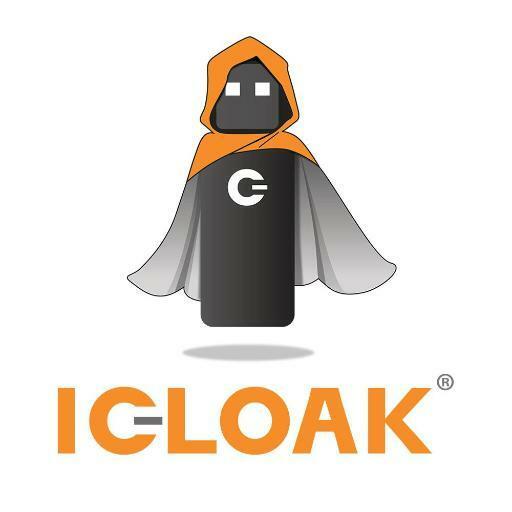 ICLOAK helps users avoid malware, spyware, viruses, and more, keeping them private and secure online. Why ICLOAK is Best in Security: It's designed to use networks such as Tor to browse anonymously, and the whole thing is contained on a tiny device that works so easily that anybody can use it. Just plug the ICLOAK Stik into a USB port, and you can stop worrying about having your passwords stolen, your computer infected, your keystrokes logged, and your data compromised. 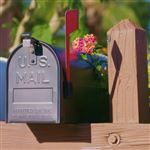 Paubox provides an easy way for clinics to send and receive HIPAA-compliant email - no apps or plug-ins necessary. Founder and CEO Hoala Greevy is a 17-year veteran of the email industry and the architect of the Paubox platform. Why Paubox is Best in Security: It automatically encrypts every email sent with no extra steps for the sender or recipient, just like a normal email and works with any device. Paubox can also help you prevent breaches with email Data Loss Prevention, provide branded storage to share data easily and more. CommonKey is a team password management solution that saves your passwords so you and your team can securely login without having to remember a laundry list of passwords. Why CommonKey is Best in Security: Tracking passwords for Twitter, Google, MailChimp, and other accounts can be a bear, but CommonKey simply stores all logins and gives your team one-click access. That means you can easily control who has access to what accounts, and it even automatically updates any password changes across your whole team. MindPoint Group offers information security consulting for commercial enterprises and government organizations that gives their clients a broad perspectives of the world's security challenges and a glimpse at the threats coming in the future. MindPoint President Patti Chanthaphone has been working in IT security program and project management, executive leadership, and business development for nearly 20 years, and heads a team with over 50 years of combined experience in IT security services. Why MindPoint Group is Best in Security: They pride themselves on hiring only the best security experts, which means that they are always innovating and delivering the best in custom IT security solutions. In a world of big risk and shrinking budgets, Mindpoint Group also understands how to meet increasing security requirements for less money. Post-Quantum is a provider of advanced cybersecurity products that can protect data, workflows, and more. CEO Anderson Cheng is experienced in the world of venture investing and incubation, having achieved growth and successful exits with multiple tech companies, while Chairman and CSO Martin Tomlinson is an expert in data encryption, error correcting codes, and wireless communications. Why Post-Quantum is Best in Security: They use industry-best encryption that ensures that even stolen data can't be cracked in the future, and their future-proof technology protects against the latest cutting-edge attacks. They also offer solutions for data access, including phishing resistance and consensus-based authorization, so there is no access without proper oversight. 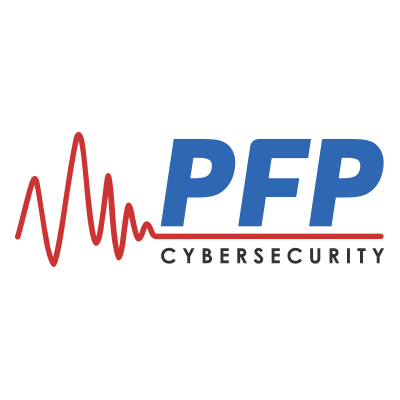 PFP Cybersecurity is pioneering the next generation of cybersecurity with the combination of AI and analog power analysis. Founder and CEO Steven Chen is a serial entrepreneur who previously founded 3eTI and served as its CEO, while founder and CSO Dr. Jeffrey Reed is a three-time entrepreneur and the Founding Director of the Hume Center for National Security and Technology. Why PFP Cybersecurity is Best in Security: Their solution works by monitoring power usage data, looking for any deviation from authorized exertion and providing real-time alerts if it finds any. 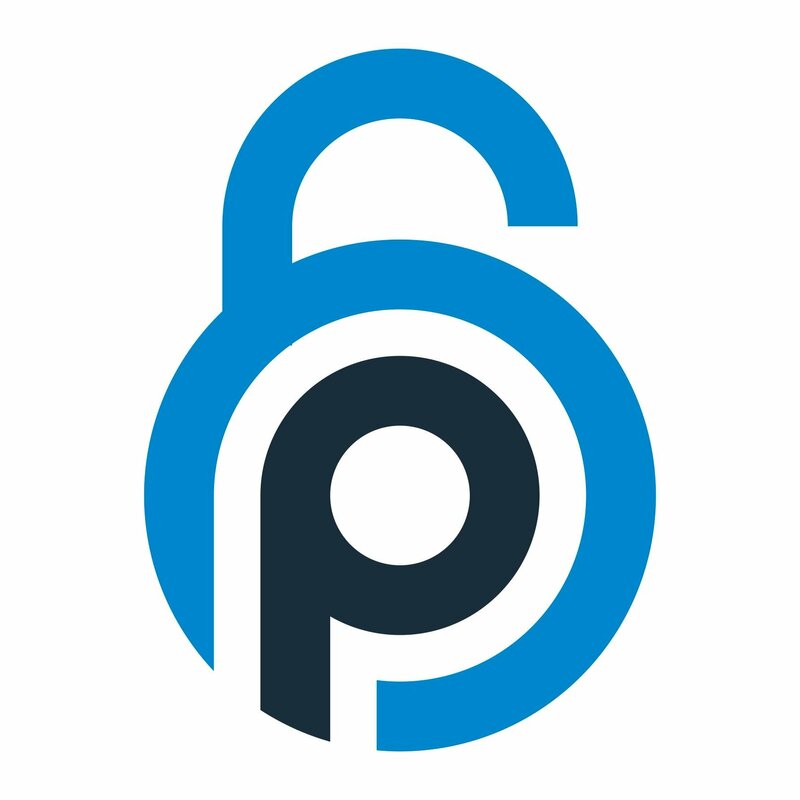 PFP Cybersecurity's solutions include network monitoring, counterfeit detection, IoT monitoring, and cloud-based analytics. Aptonomy offers autonomous flying security drones that are perfect for patrolling outdoor properties and preventing crime. Why Aptonomy is Best in Security: They fly all on their own, analyzing the surrounding environment with cameras and sensors before automatically returning to the charging dock while another dispatches, meaning no downtime in your security monitoring. Each drone is equipped with a numerous cameras (including zoom and thermal capability), industrial spot lights and audio speakers that can be used to engage and deter any intruder. HiveUAV uses unmanned aerial vehicles with automated docking stations to monitor outdoor properties, including agricultural land, industry sites, and emergency services locations. CEO Ilche Vojdanoski has 12 years of experience in the tech industry, having consulted with PwC and worked in sales and marketing with OneSteel and MRC Global. Why HiveUAV is Best in Security: The HiveUAV captures and sends imagery and sensor data to its users, who can also remotely manage the UAV by adjusting its flight path and mission. By automatically charging and controlling itself, these UAVs provide security and peace of mind without the need for further costs and added team members. 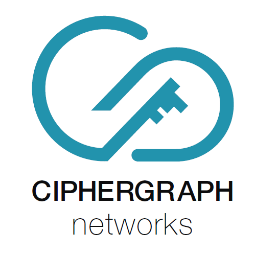 CipherGraph Networks offers a Cloud VPN that provides an access control solution for businesses of any size, without the need for hardware. Founder and CEO Jitender Sharan created CipherGraph in 2011, and previously worked as a principal engineer at Aventail/SonicWALL. Why CipherGraph Networks is Best in Security: With data center-style network privacy and isolation, their solution brings secure cloud access for all of your mobile users. Cloud technology can cut costs and increase accessibility for your business, and Ciphergraph is here to help you stay secure when you transition. Apvera is an insider threat intelligence platform that lets users monitor usage and control access for employees, IT staff, and contractors. Why Apvera is Best in Security: Their platform works to identify abnormal usage behavior, prevent data leakage, and manage accessibility to corporate resources, helping you control access to data and stop threats before they become problems. The real-time behavioral analytics Apvera provides will identify high-risk activities, covering up the dangerous blind spot of malicious insider activity. 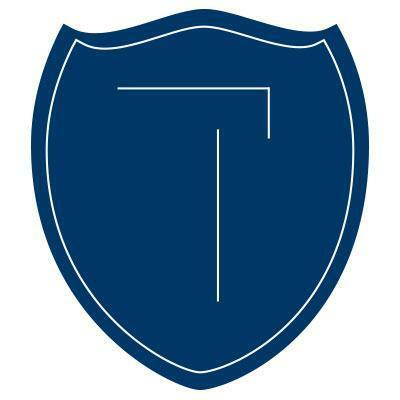 TrackTik is a security workforce management platform that can help your security business streamline its operations and cut back on operating costs. Why TrackTik is Best in Security: If you run security operations sans automation, use several systems that aren't integrated, or lack a clear view into your data, TrackTik's web-based solution could be for you. It connects field personnel to both management and clients, making it easy to manage your workforce with the actionable insights the platform provides. nexTier Networks is changing the way enterprises protect their data, combining advanced data leak protection with semantic analysis to automate data security with near-zero administrative costs. Founder, CEO, and Chairman Tarique Mustafa is the man behind nexTier's core technology; he previously founded the start-up Network Utilities. Why nexTier Networks is Best in Security: nexTier's solutions can discover, classify, assess, and secure data anywhere with stunning speed and accuracy. It works by giving IT access to 100% of enterprise data to enable faster response time and greater insight into user and system activities, with no added software necessary. Rawstream is a web filtering solution that can be used to increase workplace productivity, filter content at schools, and more. Why Rawstream is Best in Security: For example, it enables managers to see how much time employees are spending on non-work-related sites so they can help them manage their time and become more productive. It's also built to integrate with Google Apps and Chromebooks, making it a great content control platform for education. Ninchat is a secure chat for your business' customer service representatives, enabling them to engage customers wherever they are using the strongest available encryption. Why Ninchat is Best in Security: Ninchat can embed in your app, your website, and even your Facebook page, so you can reach your customers whether they're at home or on the go. It also works for teams, so you can communicate with your colleagues using the same tool you use to help customers. 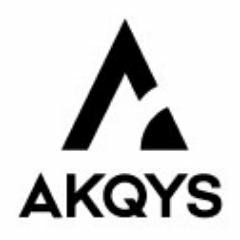 AKQYS is the worlds first web-connected smart luggage tracker that keeps you connected to your bag and protects you in the event it's lost, stolen, or mishandled. Founder and CEO Felix Mercado is a tech entrepreneur whose global business travel inspired him to create AKQYS after someone tampered with his checked-in luggage. Why AKQYS is Best in Security: With a single tap of the AKQYS mobile app you can view it's location, as well as its photo and video logs of every person that opened your luggage, to track and see what happened to it. Utilizing GSM and bluetooth technology, all photos and video are saved to a secure cloud server so authorities can survey footage, GPS track it, and catch a thief red handed in seconds. GreatHorn works to provide organizations with security from modern cyberthreats, with a focus on protecting the means by which they communicate and collaborate. Why GreatHorn is Best in Security: Their Messaging Security offering keeps pace with organizations' rapid adoption of messaging services like Slack and the threats that are popping up on these services. The GreatHorn Threat Platform, currently in private beta, is built to protect organizations against targeted social engineering attacks in any cloud-based system, and is powered by the same big data and machine learning that powers their Messaging Security platform. 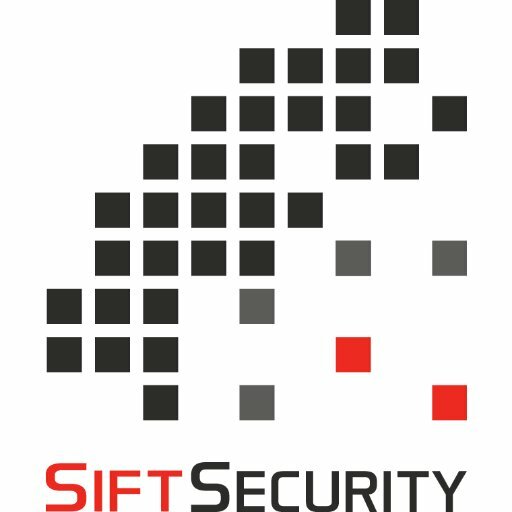 Sift Security is providing next-gen global security operations, threat detection, and threat hunting for enterprises. Co-founder and CEO Neil King was previously an executive at McAfee and VeriSign, and has put together a team of experienced executives and security and data experts to bring Sift Security to the forefront of cybersecurity technology. Why Sift Security is Best in Security: Their platform uses machine learning to prioritize threats, accelerate investigations, and detect security anomalies to ward off attacks before they happen. All of this results in much faster investigations and much faster response time, leading to a decreased workload for your security staff. InstaSafe is a cloud-based security-as-a-service company that provides secure access to remote mobile workers who must access critical applications and data over unsecure networks. CEO Sandip Kumar Panda has 10 years of experience in the tech industry as a Channel Manager with Select Technologies, Country Manager of Bluecoat, and VP of Sales with Nevales Networks. Why InstaSafe is Best in Security: In this mobile age, clients and employees alike may need access to business applications over mobile networks; InstaSafe is providing a scalable, pay-as-you-grow solution to keep applications secure no matter where access is coming from. It's also incredibly easy to deploy: it sets up in mere minutes without any need for hardware. 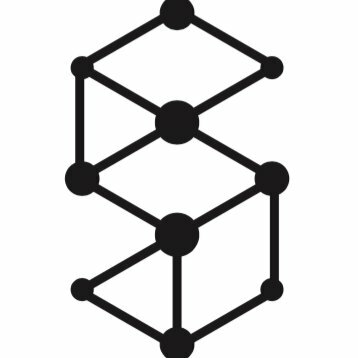 Cocoon's online privacy and security solution works to protect your computer from viruses while keeping your data safe and your browsing activity private. Founder and CEO Jeff Bermant is an entrepreneur with over 30 years of experience in financing and managing real estate development projects with companies like UBS, Aetna Life, and Rockwood Capital. Why Cocoon is Best in Security: Using an encrypted connection, their technology protects your credit card numbers, usernames, and passwords safe from prying eyes. It's also a portable solution: you can take it from computer to computer, and even use their proxies to access U.S. internet content overseas. Digify offers confidential file sharing for businesses, allowing you to maintain control of your data and documents even after sharing. Founder and CEO Augustine Lim has spent his career in multiple senior business development and strategy positons, and is currently the director of the MIT Enterprise Forum in Singapore. Why Digify is Best in Security: Offering encryption, watermarking, copy protection, and more security options, you're able to control who has access to documents and for how long. Digify enables you to know if your documents are being forwarded or re-shared, so you can remotely wipe access and keep your sensitive information from spreading. 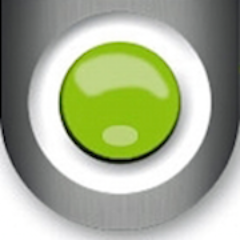 Alert Logic offers security as a service for applications in cloud and hybrid environments. Chairman and CEO Gray Hall has over 25 years of experience in the IT industry, including 8 years as co-founder and CEO of VeriCenter, and has helped grow Alert Logic from a $10 million company in 2009 to a $100 million company today. Why Alert Logic is Best in Security: Their solutions combine cloud-based software with analytics and expert services to find and block threats to apps and other workloads. With better protection provided as a service, your team can safely innovate and grow your company in the cloud without any additional IT security staff. Intelliment Security offers end-to-end automation for security policy, letting companies go from application connectivity description to network security policies in a matter of moments. Why Intelliment Security is Best in Security: This allows your application delivery, network engineering, and compliance teams to all work in a single platform, providing a huge boost to agility while lowering cost and reducing risk. With Intelliment, you can change your firewall securely in mere minutes, rather than months. Share on Facebook "Best in Security"